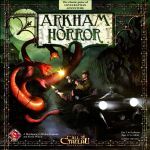 Welcome to the Solitaire Games on Your Table Geeklist for October 2013! I've been very happy with how much participation we've had within these lists in the few short months they've been active. It's been great to become familiar with so many other solitaire players as well as what they play and their thoughts on games. These geeklists have become a current repository and collect all for mini-reviews, session reports, photos, and comments about solitaire games, all in one handy place. For me it's become almost a one stop shopping area for information on many different games designed for solitaire play and for those that are played solitaire regardless of designer's intent. With that in mind, I'd like to highlight a function of BGG that I think is under used and far more valuable than reading a handful of reviews and session reports. 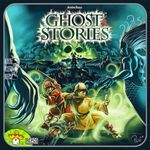 Comments written by BGG users (accessible from a games main page or by looking at your collection, for example) have provided me with all sorts of opinions and insights from folks who don't post reviews. Being able to find well thought out and well written comments from BGG users has become a never ending goal of mine. I try to identify users who put time and effort into creating well informed comments for games that I share an interest in. Once found, I will "geekbuddy" them and add them to a geekbuddy group called "buddies with great game comments". From that group I can select a user and go straight to the games he or she has commented on. Another way to use the Geekbuddy function is to go to a game page for a game I'm interested in buying. Select "Analyze" from the "Statistics" section and BGG will automatically bring up any of your Geekbuddies that have rated or commented on that game. It's a great way to get immediate opinions from gamers you've identified as having similar tastes. But this only works when there are players out there who take the time to compose a reasoned and informative comment. How can we improve this awesome utility? How about if we all made an effort to improve our comments? Here's an example of mine: All of the games Ryan has commented on. Note that I'm not finished, but I have put a lot of work into many of my games. What I'm hoping to see is more of us putting detailed thoughts into what we like about a game, what needs improvement, who might like the game, who won't, etc. Your 2nd game played with great comment: 2 as long as I have the to fund it. Your 3rd game played with great comment: 3 as long as I have the to fund it. Once my coffers are empty, I'll have to stop. I'll make the payments at the end of the month. It would be helpful if you post a link to your comments page if you are participating, but if not no worries, I'll check anyway. What I'll tip for is completely subjective and up to me, but by no means am I looking for a novel or a full one page review. Just well written comments in your own style that will help someone decide if a game may be for them or not. Check into some of my geekbuddies at the hyperlink above to get an idea about what I'm looking for. Next topic, future hosts of the Solitaire Games on Your Table Month Geeklists. Yes, we will go on! Tracy, Jack, and Mo have all volunteered rotate through as hosts again. If anyone else is interested in hosting a geeklist, GM me and I will assign you a month. Note with 4 of us volunteering, there will be some down time in game play between your turns. We're happy to have anyone. I'll give a week for people to consider if they want to host. I'll post the new schedule to the Solitaire Games on Your Table Monthly Geeklist SUBSCRIPTION THREAD on Oct. 7. So if you'd like to help, notify me before then. I've updated the Solitaire Games on Your Table Monthly Geeklist SUBSCRIPTION THREAD with hosts through May. If you've volunteered, please check it out and make sure the month I've assigned you works for your schedule. Let me know if you'd like to switch (now or in the future) to a month more accommodating to your personal life. I think I have everyone who volunteered, but let me know if I missed someone! I think that's all I have for now. If you have any questions about this month's promo/ giveaway please GM me or post a comment at the bottom of this list. Thanks to our previous hosters: Tracy, Jack, and Mo who gave out hard earned and gave their time to make this Geeklist series even better. As always, here is the subscription thread so you don't miss a geek list: Solitaire Games on Your Table Monthly Geeklist SUBSCRIPTION THREAD. Now tell us, what's on your table? Five submarines were withdrawn to California for major refitting and refurbishment. Six new boats joined our fleet. Spending a lot of time playing this great game. Playing 4-player solitaire is a blast! I have played Andean Abyss a lot, was a playtester for ADP, but never had anything to do with Cuba Libre, so it was nice to get this game in the mail and not know a whole lot about it. 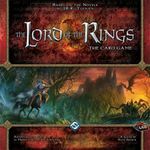 I played a solo game of this game a few days ago and I am surprised how much this smallest game of the CoIN series really has it's own flavor and uniqueness and holds its own against the other two to the point I'm not sure which of the three I'd rather play. The smaller board in this game doesn't mean it is a simple game, less spaces just makes this game more bloody and tense. I'm starting another game solo right now. I have been on a BIG civil war kick the last few months. Last month, I learned a lot about the 1862 Peninsula campaign after I played Birth of a Legend and read Michael Rinella's excellent accompanying article. I traded for this a couple of months ago. I tend to dig Worthington Games. They hit my sweet spot in terms of complexity and are quite engaging. Plus, I really dug Don Troiani's art work. This game had pretty good comments from my Geekbuddies, so that was good enough for me. I read through the instructions and like what I've seen so far. It's set up on the table, ready to go. I was lucky enough to get this through BGG as it was sold out pretty much everywhere else. I know this is blasphemy, but I'm not a huge fan of John Butterfield. I've played RAF and don't really enjoy it as I don't think there are a lot of decision points in the game. It's somewhat fun to play, but overall I feel like I'm just drawing cards and rolling dice. And every once and awhile making a small decision. I also know that RAF is a beast form another era, where this was mostly the norm for solitaire wargames. I'm looking forward to D-Day at Omaha Beach, and it seems there's a bit more to it than just making a few tiny decisions here and there. At least I hope so. The map looks great, and the chits look good (though the die-cutter was pretty bad....). I'm excited about getting this to the table after I clip all the counters. I'm going to try to get a few more to my table this month as well. I've already played a few games of Cuba Libre and have enjoyed the heck out of it. I even got a multiplayer game of it in (and a VASSAL), and I just adore the COIN series. Because of that, I'm going to try to get A Distant Plain up and run a few times solitaire. It's highly unlikely I'll get anyone to play that with me. I'll probably run the first few times with the bots, then switch over to playing all sides. I have a ton of games I want to get to my table this month, but in all honestly, I'll probably just get these two, though I'm going to probably squeeze in a game of Napoleon's War: The 100 Days and its sequel. I've played a few times solitaire and have liked it so far. The minis look great on the map, and I finally got a piece of Plexi, so I don't have to worry about pushing the map down flat. The game system is also pretty simple, so I'm excited about playing some more. At some point I need to get an actual opponent for my wargaming habit. I might also play a game or two of Le Havre seeing as I finally got ahold of a copy. I've played it on my iPad, but I think most board games are lacking something when played digital (I'm also not normally a fan of Vassal, but will use it in some cases... e.g., I can't find an opponent, or it reduces the fiddliness). I've played this solo a couple of times in the last month and will continue to do so. Good to see that a year ago the Bot from The Gathering Storm expansion would slaughter me, and now I can win on Easy mode most of the time. I find playing the Bot more fun than Keldon's AI where I just tend to randomly click stuff instead. This month - time to ramp up the difficulty. After setting up and ultimately folding up Scenario 2 a few times, I decided to push on through tonight. Started with 2 investigators test subjects. One escaped thanks to the other activating the control panel when she happened to be by the elevator. The guy who activated it was pinned by two guards and didn't have a chance. I'm trying to make up my mind on this game. As many have said, the theme is unique and interesting enough to have me intrigued, but the game gets so bogged down in funky rules, it's hard to appreciate it. I think my approach will be to space my playing of this one out a good bit. Maybe a scenario a month in order to give myself time to forget about the rules from the previous scenario. We'll see how that works. Being a very strong introvert who travels and stays in hotels almost every weekend, I am very happy to find this list. I would rather spend my time in the room playing a great game than out getting lost in a city I don't know. Been playing a lot of this lately, sets up fast, great theme, and fun. Have yet to win a game, but that is part of the joy of why I am attracted to solitaire gaming. My prediction is that this will be this month's Pathfinder, as all the Kickstarter copies are delivered. I got my copy yesterday, and sat down to decrypt the rules this evening. They're impressively vague for such a simple game. I muddled through a couple of delves which I won't recount as I'm not clear I used the right rules. Then I checked some rules on BGG and started again with the Sorceress. Her power is that she can turn monsters into dragon dice, which is very very handy if the dragon is coming for you anyway. After 3 delves, I had 26 points. My next play was with the Alchemist. Her power is that chests become potions. As far as I can tell, one chest is basically useless, and one potion is slightly better than useless, so it's only really if you're rolling 2 of the things that this power is of much use. 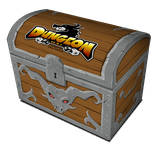 It also meant that I never got any treasures, and since I rarely rolled two chests / potions, I rarely got anything at all. It all kinda sucked. In the end she could only gather 20 points. Overall, yeah, it's alright. I'll give it a go multi-player, where I think there'll be a bit more excitement, and I'd like to play through all the different characters to see which ones are of any use. In all, I think it's a bit of a missed opportunity - there are some really great things in the game which don't quite work as a whole. More print and play goodness from my corner. 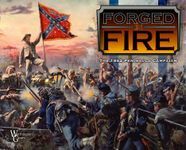 This is a free intro to a pretty big series of American Civil War games. Mostly just getting it on the table to run through rules, maybe I'll be able to convince someone to give this a go as it seems like a really nice simple set of rules. Even built the 3D board though I used 1mm board so the difference in elevation could be better, but this is easier to cut. More and more interested in this war, need to find a good solo game I think. Me: Where the heck do Allied reinforcements enter play? I can't find it anywhere! Rulebook: I dunno, check the playbook scenario. Playbook: Hi, thanks for reading 8 pages of scenario specific rules but now that you've reached the end I'll refer you to the back of the 8.5"x11" scenario 4 map for reinforcement placement. Picked this up on eBay for a song a week or so ago. Looking forward to taking it out for a spin. As a break from the mind numbing Case Yellow I have the Middle Earth CCG set up on some spare desk space. For those unfamiliar with this game it's a CCG that has several solo variants. I play a variant where, instead of having a constructed deck, I play from giant stack of cards from my collection (referred to commonly as the Arda variant). In my version I give myself 8 turns to see how many points I can accumulate. It's fun because with the large pool of cards you never know what you're going to draw, so each game is different. I got this game last week and have played it everyday since, will some days just go with studying and building new decks. Other days go with my regular boardgame friend coming around and playing it with me - but mostly its solo for me. I got pathfinder 2 weeks ago, but I like Lotr LCG alot more - its challenging in the same way that Ghost stories is. Its a really mean game and I love it for it. An enticing and beautifully produced package that just arrived yesterday. As recommended, I'm setting up the Tutorial in the Playbook to get things started. Whew, one tough game. The rules are simple enough, but how to use each village tile is the key to winning, and their is a lot of learning to do for that. Was able to get my hands on this over the weekend! I am so excited to not only play through this several times myself, but also to introduce my friends to the "Choose Your Own Adventure" feel of this game. I chose to be Sinbad, and even though this was a learning game for me, within the first 5 minutes I felt that I had a pretty decent grasp of the rules and only had to refer back to them for a few things. One of those things was what to do about encounters for the City Cards, and easily enough, you simply look up the only number on that card! Amidst my travels as Sinbad, I got married, found a efreet in cased in a magic ring, went on two pilgrimages, and more. I enjoyed the solitaire rules and will continue to use those, I think, unless someone out there has a good suggestion to try. I am still working to win that first soloconquest without forgetting a rule. Things are looking good with the first city uncovered on day 2. However, having accumulated too many wounds in earlier rounds hampered my efficiency a bit so I had to see one of my favorite spells run through the spell offer without me claiming it (T_T) In addition, now, at the beginning of the second night, I still have only 1 unit with two unused slots for units. The first city is the red city, and I am still making up my mind whether to give it a try during that night or whether to try defeating one of the draconums on the map. There is that noble (?) one right next to the red city, and if I can get just the right three cards on my hand and invest 1 green mana and 1 white mana (if the dice don't have it, I do have crystals), I can take it out with ranged attacks (thanks to its lack of physical resistance ). As for the commenting thing, I have to admit that I never thought about that feature, so I haven't used it. To keep in spirit with this geeklist's idea, I have started by writing a comment for Mage Knight, although I have no idea how to link to it (or if I actually did it right (^_^;; ). Thanks to Mikolaj, here is a link to my comment. If I am lucky (or things go according to plan), I might get the Lost Legion expansion towards the end of the month, but that is not decided yet. While it is a definite must since I actually want to play Wolfhawk, I have kind of mixed feelings about the random elements it offers. I actually like the calculating nature of the base game (although no-luck games usually bore me to no end ). Using the lunch break, I was able to play the final two rounds - and I won solo conquest with 129 points! And I am pretty sure I got all the rules right, this time, even though there were two close calls (wanted to purchase the fire mages in the first city - noticed this before actually buying and initially forgot to add the poison effect to the two wounds I took in the final battle - did not change outcome of the battle and I adjusted the score accordingly). Fighting that dragon seemed like a wasteful adventure, but things looked really gloomy after me getting several wounds fighting some monster in a monster dwelling (I think a werewolf, but not quite sure). Desperate, on the morning of day 3 I rushed back to a keep I had conquered (which meant crossing 1 plains and 3 hills tile before entering the hill keep!) to buy additional troops. Fortunately, the red city (first uncovered) was not that far away, so I was able to enter it. I was able to block most of what was coming, taking only little damage (having a unit I wanted to disband anyway help get rid of excess damage). The city was mine, and I was able to purchase Amotep Freezers! Yay! The rest of the round was spent licking my wounds and waiting on a blue mine nearby (I had ice golems in my team, the Amotep freezers and the only spell I had was an ice attack spell). The last round arrived - and another Amotep freezers was in the unit offer! Back to the city, I bought them and spent my illusionists together with a few cards to buy an artifact. The defensive banner thus came into play, and off I rushed for the second city (green). Time was short as the dummy was Arythea with 5 red crystals! I was lucky, while the brown monsters were not really the easiest around, the white chits did not contain those pesky guardians. I had attacked prepared to sacrifice most of my units to weaken the city and then try to take it with actions in the next turn, but then it all worked out! I was able to block/absorb the petrification damage of two units, allowed the monks to poison my character with two wounds and used the freezers to stop another unit literally cold. And there were still enough attacks left as I had 2 x rage (together with a single red crystal (^_^;; ), using my weakening skill on one enemy because of their resistance against fire, one Amotep freezer unit for a normal attack and the ice golems using their enhanced attack. It was just enough (I think there was just 1 attack point wasted altogether). This is so wonderful. I still can barely believe it. I know this was a reckless gamble, but still... I am really excited. This is the comment I have for this great game. As someone had already posted it, I wasn't sure if I should repeat it or post it there. This game is simply amazing. Designing a solitaire game with an "Artificial Intelligence" that works and plays like a tough adversary must be one of the hardest things designers have been trying to pull off over the years. Other popular solitaire designs, such as B-17, will only take you through a fun ride where there's not much you can do about your survival prospects. Well, in this game, not only the german "player" will make you suffer like Tom Hanks' rangers at the start of "Saving Private Ryan", but also the design will offer you inumerous tough tactical decisions that will make you think you're really in control and ultimately responsible for what happens to your men. The AI mechanics fires at you where you're most vulnerable, it makes german reinforcements show up exactly at the right moment you were about to conquer a vital spot, and when you start moving US troops and equipment all over the high ground, they will follow and sometimes anticipate your movement and screw your plans up. And it's your job to anticipate the AI "decisions" and slowly create a perimeter around the draws (beach exits), get your tanks and artillery pieces off the beach and establish strongpoints on the VP spots on the high ground. It is definitely not one of those designs where the system just unleashes hell at you in a blind, stupid matter. The AI at D-day is intelligent, and will challenge you everytime you try to assault this beach. Replayability is quite high. I've won games by conquering draws and penetrating my troops and equipment quite deeply in one half of the beach, while my soldiers kept being pinned down on the sands of the other half, while in some games I've been able to advance uniformely all over. You really don't know how things will unfold each time you play. D-Day at Omaha Beach is not only a great option for when you don't have a lot of wargaming buddies around to play. D-Day is a great design in and on itself and should be tried by all wargame lovers out there. I still haven't tried playing it with 2 players together against the german AI. It must be fun. It is the hottest wargame in my collection right now. Can't wait for D-Day at Tarawa and D-Day at Peleliu, both with realease dates in 2014. A really fun and tense tactical solitaire wargame. I've read a good book about the british commando assault on the french port of St. Nazaire in WWII, and the game mechanics really captures the terrible hazards that those poor fellows experienced in real life. It's an old design but a truly remarkable one, where the german "A.I." works beautifully. The first portion of the game, when the commandos are trying to land their motor launches somewhere in the port is more bureaucracy and record keeping than tactical decision making and fun, but the portion of the land combats and the attempts to blow up the predetermined targets with the soldiers that weren't blown out of the water is just pure fun. The design offers inumerous options on how to use your demolition teams and the commando squads assigned to protect them from the german infantry that will start to swarm to the landing points. 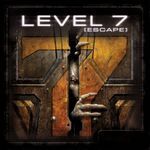 Loads of adrenaline and fun in a system that really puts you in charge of things (and not just enjoyng a dice fest fun ride) and where the enemy "A.I." works intelligently to try to screw your plans. And the map of the urban areas around the port is just gorgeous. This is a little pearl in my collection. I just wished the first portion of the game wasn't so long and without any relevant decisions for you to make. The second part of the game is definitely the "meat" of this system. The rules aren't all that heavy. A little procedural in nature, but not heavy. Before the end of your first complete campaign, you won't be checking the rulebook anymore. I just think that RAF suffers from a slight lack of decisions to be made by the player as the commander of the british (or german) air fleets. It's not at all as simple (and "un-exciting", IMO) as B-17. It certainly has some interesting decisions to be made at every round. Just not enough for me to rate it a "top 3" game among the solitaire systems in my collection. I like wargames (solitaire or otherwise) that put many interesting challenges of different natures to my analysis and decision at every round. Generally, you can boil everything down to resource and probability management. RAF has that, but not in many dimensions. You decide where to patrol, you decide how many squadrons to engage on individual raids and (sometimes) you decide on how to engage the enemy (avoid the german hunt fighters and go for the bombers directly). And at the end of each day on the campaign you decide if you want to relinquish VPs in exchange for more planes. That's pretty much it. Again, it's not simple and dull. But more modern designs have more different dimensions in which you have to decide on courses of action. But RAF is certainly a keeper in my collection. Be advised that my opinion is based on only two full campaign games of the Lion scenario. Maybe it's a whole different story with Eagle or the 2-player game. Ditto, I restarted a game after making a major rule mistake. I've been running a solo group when I've had the chance. It's been a very busy month for me so I haven't had as much time for gaming as I'd like, unfortunately, but this game is quick enough that I can get a game in most nights. My current group is Seoni the Sorceress, Lini the Druid, Amiri the Barbarian and Sajan the Monk. Last month I got them through Perils of the Lost Coast and then began the fan Adventure, Monsters of the Lost Coast. Originally Merisiel was part of the group but died on the first scenario of Monsters, and was replaced by Lini. Currently have those Attic Whisperers defeated (tonight) and will go up against the Hellhounds tomorrow. After that, I think my group will hit Burnt Offerings ready for Skinsaw later this month. Explores are not optional unless a location allows it (hence the death of Merisiel). 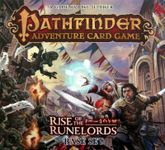 Dead characters are dead and their replacements begin play as per the adventure path rules, but can never play scenarios the party has already completed. They will eventually catch up to the power levels of the rest of the group as I add retroactive feats to current adventures (so Lini will get the skill feat from Perils once Monsters is complete). Just played through the Hellhounds, which cost me another character and my first loss. This time Lini died, unable to mitigate the damage the Henchmen Hellhounds were throwing out. I'm beginning to wonder if the Holy Candle is cursed - Merisiel had it when she died, and now Lini had just found one when she was burned alive. Everything pre-Hellhounds is pretty run of the mill. That's not to say it's bad but none of it really added anything new to the game for me. I want to reiterate that I still enjoyed it and if it ain't broke you don't need to fix it, but each adventure felt very similar to the one before it. That changed with the Hellhounds adventure. The fact that every Hellhound encounter summons a henchman/villain for every character is very dangerous, especially in a multiplayer game where you can't refresh your hand until your turn - the end of your turn, even. And with the Hellhounds ability to cause damage even after being defeated, it was even more brutal. It felt like an uphill struggle the moment the first Hellhound was encountered, with characters beginning their turns with no cards and bleeding health very quickly. Lini was particularly vulnerable, as she has to discard a card to stand even a small chance against a Hellhound, which is why she died. I dread to think what would have happened if I'd have stacked characters on locations with the 'hounds ability to hit everybody on a location after a fight! I will replay Hellhounds later hopefully, with a fresh new character to replace my dead (I drew Kyra randomly which is cool because I've never used her before). Well I did it, beating the hellhounds quite handily. Though I did modify one of my house rules. Now, exploring is optional but not two turns in a row (I use a token to represent somebody "resting"). I think this allows for a little more strategy than just flat out saying "exploring is mandatory". Besides, the occasional break was pretty much required to deal with this scenario. I then went on to begin Burnt Offerings. Seems much tougher than I recall from my first playthrough with the missus! Both games came right down to the wire. Attack on Sandpoint ended with me having already given up with three locations still open on the final turn (I knew Ripnugget wasn't in one of them, but had no idea out of the other two where he was hiding), but Kyra managed to stumble across the villain at the last moment and with a lot of help from the Gods managed to kill him and his gecko both. I needed a 13 for the combat check on Stickfoot (due to Kyra discarding a pilfered shortsword for her check and not being proficient) and despite rolling a total of 5 dice and adding 3 (she had a feat in Strength) she only just got 13. She then went on to mash up Ripnugget with her Flaming Mace +1. Local Heroes was another last turn win. I realised during this adventure that I could play cards that didn't have a when requirement at any point. The importance of this has never quite hit home with me before, but this revelation came in the penultimate turn after Sajan spent 4 blessings exploring for an Ally in the waterfront, and I realised there were only two cards left in the location and that they were both Allies. After resetting Sajan's hand and drawing a Guide, I checked the rulebook and realised what I was about to do was legal. I discarded the Guide, explored again out of turn, and closed that place down. I wasn't quite out of the woods yet though as Seoni's (and the very last) turn began. She moved to the as yet completely untouched Tavern and explored.... finding a Grizzled Veteran who she promptly employed and then closed the location. Finished Burnt Offerings today, quite handily in fact. I'm going to put my box away now ready for the Skinsaw Murders. Here's how my solo group ended up after completing three adventures and a total of 13 scenarios. Well, I picked up Field Commander Napoleon yesterday after work... it needs to be finished but... Pathfinder! I don't know what to say beyond that really. I stood before my game collection for 10 minutes before just shaking my head, giving in to the inevitable and pulling this back off the shelf. I've been playing another custom adventure, Assault of the Elements (http://boardgamegeek.com/thread/1047592/assault-of-the-eleme...), and so far it's very creative mechanically. Despite being able to apparently tackle the first four scenarios in any order, I'm doing them sequentially. So far under my belt I have Sandpoint Ablaze and Spelunkophobia! Looking forward to finding time for the rest - the nice thing is that with the playtime I can often get a game of this in. Will post up a full opinion of the adventure when I'm done with it. Okay, so tonight I got done with the custom adventure, Assault of the Elements. Overall I found it very enjoyable, with each scenario in the adventure having a very distinct elemental flavour to it. The fire from the hellhound was really cool, the wind elementals were really annoying, stealing the krakens pearls was awesome and hunting down the thing burrowing through the earth was sweet. All of which are really descriptive words, I know, but it's late! I especially liked the final battle. Not the mechanics, necessarily (though they were new they seemed to just be very swingy in terms of luck). I actually killed Kurzug on the very last turn of the Blessings Deck, but what I really liked was having to Banish 5 blessings in order to win - it was a tough choice in the end, as I had completely replaced all of my Blessings of the Gods by this adventure. It also meant that I couldn't toss Blessings willy nilly through the scenario, as I knew I needed 5 when I met the boss. So, yeah, it wasn't brilliant but I thought it had a lot more flavour than the previous fan adventure I played (Monsters of the Lost Coast) and bodes well for how flexible the system actually is. I'm definitely putting it away now ready for the Skinsaw Murders. Come and get them if you dare! This one was on my table last month but I finished it in October so here it is. The mythos deck and the Other World encounter deck was comprised only of the cards found in BGotW. This way I would get an undiluted BGotW experience. After set up I survey the team. Darrell has a tommy gun (must have picked that up when taking photos of a mob crime scene!). Amanda has a shotgun (dad must have given this to her as a going away gift on the way to college). Monterey had his .38 and bullwhip and a Ruby of R'lyeh. Gloria had some stuff. I feeling pretty good as my investigators have some gunz to shoot up Arkham. Later on these guns would come in handy because BGotW really gets monsters in the game, like twice as fast as vanilla Arkham. Darrell- 1 sealed gate and 5 toughness in trophies. He put in a little work. Ended up losing because of a rumor that ended up having all investigators devoured. Yeah I could have drawn 4 new ones but I felt that would not have fit the narrative very well and Ithaqua only had 2 doom tokens before waking from his long winters nap. Love the game and the story it tells!